I have been reading tea leaves in a tea shop, from my own business, and on fiverr.com (see link which includes reviews). I have read over 1500 people's cups and am still being asked by customers to give them readings. 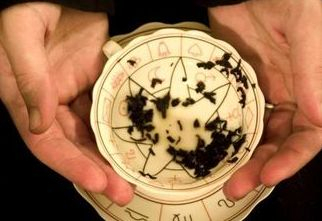 Tea leaf reading is an unique and sought after skill which stands out from more common forms of psychic readings. Best of all is that learning to read tea leaves is not difficult if you have a mentor. I have my own method of tea leaf reading that has evolved over the years which is very intuitive, understandable, and teachable. have taught others who claim to have no psychic abilities in a very short amount of time and I am very impressed with the readers that they have become. I will send you my complete video course which covers all of what you need to know to be a tea leaf reader. It covers everything from: choosing the right tea for tea leaf readings, how to serve tea for a tea leaf reading, interpreting symbols, using the position of the symbols to interpret time-frames/the future, positive versus negatives, relationships, deep personal issues, changing and long-lasting traits of the client, and more. I will also give you feedback/coaching on your first reading (if you want me to).